One of the worst things that you could see when you look under the car or pull away from a parking spot is fluid. It could be coolant, oil, transmission fluid or something else that you aren’t sure about. 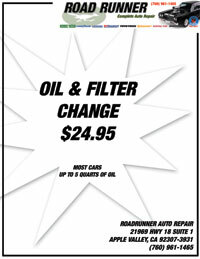 It’s important to take the vehicle to a garage, like Road Runner Auto Care, as soon as possible so that you can get the leak checked. Most leaks only get worse with time and can end up damaging the area of the vehicle significantly if the leak isn’t repaired. When you see fluid leaking, it’s best to pay attention to the color and even set a piece of cardboard under the car so that you can see what the fluid smells like if possible. There are some fluids that have a noticeable scent. Coolant is green and has a sweet smell. 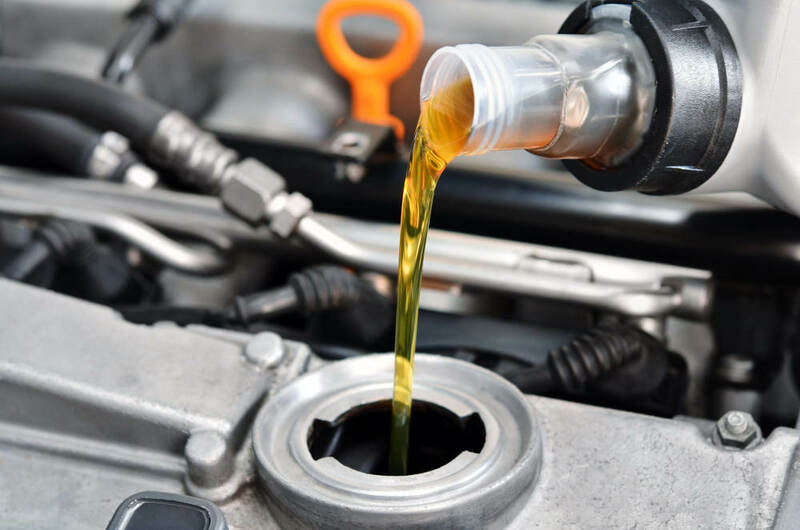 Road Runner Auto Care in Apple Valley can examine the radiator and hoses to where the coolant is coming from as this kind of leak can cause the car to overheat, which can cause the head gasket to crack. Motor oil is often light brown and smells like oil. It usually comes from the motor or the oil pan. A benefit is that you could have an oil leak simply because a bolt hasn’t been tightened all the way, especially after an oil change. Transmission fluid is usually light red or pink in color. If it has a burnt smell, then it usually means that there is stress in the gears. This could indicate that the fluid needs to be changed or that the transmission could soon go out. Garages like Road Runner Auto Care can examine the vehicle by driving it and shifting the gears to determine if there is any slipping with the transmission. Once you get the fluid leak fixed, you need to monitor the vehicle for any further leaks that you didn’t notice or any overheating or odd sounds that might result from a loss of fluid.